Situated right by the Singapore River, patrons of Rosso Vino can wine and dine by the al fresco lounge whilst taking in breathtaking views. 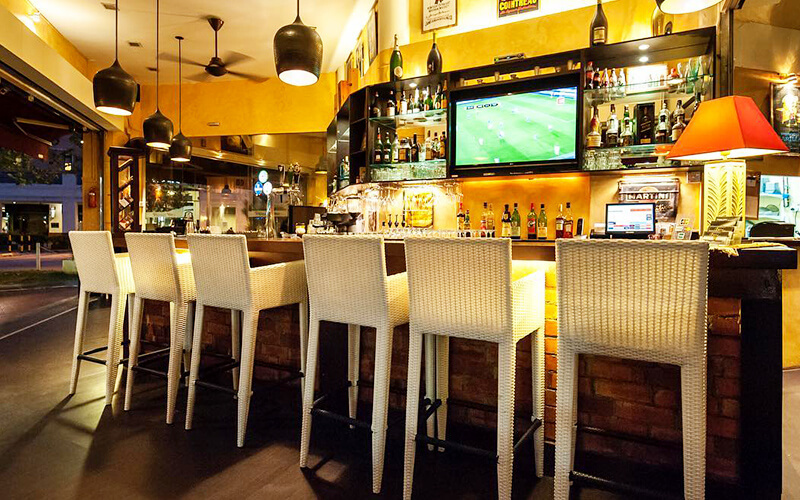 Just as their name suggests, this classy restaurant specialises in Italian wines of premium quality, and also dishes out authentic, traditional Italian cuisine to be paired with each glass of wine. This restaurant serves up an extensive collection of dishes, ranging from salads and soups, to pasta, meat dishes, and pizza. Patrons may choose to pair their meals with wines recommended by Rosso Vino’s sommelier, or choose to pair their meals with wines of their own choosing. Other alcoholic and non-alcoholic beverages are available as well.